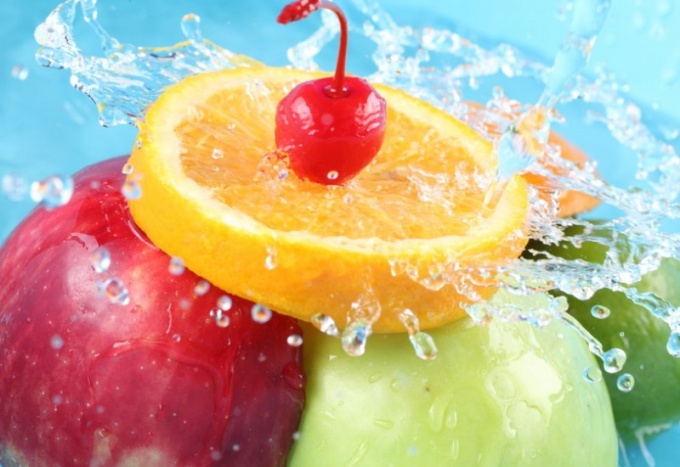 Freshly squeezed fruit or vegetable juice – a real storehouse of vitamins and other nutrients. To cook for dinner a glass or two of tasty drinks, enough to have a modern juicer. Quite another matter – processing of the large crop of fruits with a suburban area. This will help sokovinka with which the juice is enough to pour into a sterile vessel and preparation for the winter ready. Read the instructions for use of your sokovarki to understand. Typically this device consists of three "floors"-the tanks. In the lower reservoir is filled the water; in the middle (complement) steam enters from the bottom and drain the liquid from the top; at the top (lattice) is laid raw. An important detail is the hose that is attached to the tube at the middle level. Through it poured the finished drink. Prepare fresh selected fruits for juicing. Rinse them thoroughly, if necessary remove bones. Edible skins you should keep – it contains a large amount of nutrients and has a special taste and aroma. The raw material is put in a slatted pot entirely, and large fruit or vegetables cut into slices. Add the sugar to the berries and fruits and vegetables - a bit of salt. You can rely on your taste or use ready-made recipes. So, 4 liters of strawberries you will need 300 g of sugar; 4 liters drain – 400 g; 3 l of sliced apples or pears – 400 g; 4 l cherries – 350 g; 4 l black and red currants, raspberries – pound. Fill the bottom pot with water in accordance with the amount of sokovarki (usually it is 2 to 3 years). Tightly close the heat-resistant cap, install the hose clamp and leave raw steam. At a temperature of approximately 70 degrees in compliemnt begins to accumulate fluid. Usually boiling the juice lasts from half an hour to an hour, depending on the hardness, ripeness and juiciness of the fruit. If you have purchased expensive modern device with a temperature sensor to facilitate control over the process. When the juice will fill up the average tank, substitute the hose with warm sterilized jars. They should be below the level of the bottom of sokovarki. Remove the clip and pour the drink. It is recommended not to use the first 2 cups of liquid for long term storage – it is not sufficiently sterile. The rest of the juice can be rolled up for the winter. Usually 2 kg of raw material obtained 1-1. 5 l of juice. Do not let the water in scource fully evaporate – if necessary, add it. Not dispose of the steamed raw material is pulp. Pass it through a sieve and seal in a clean container. In winter you can use the resulting puree as a filling for pies, make him compotes and jellies. Try to cook in solarce not only vegetables and fruits but also other products. It be able the lush omelets, steamed meatballs and other dishes.